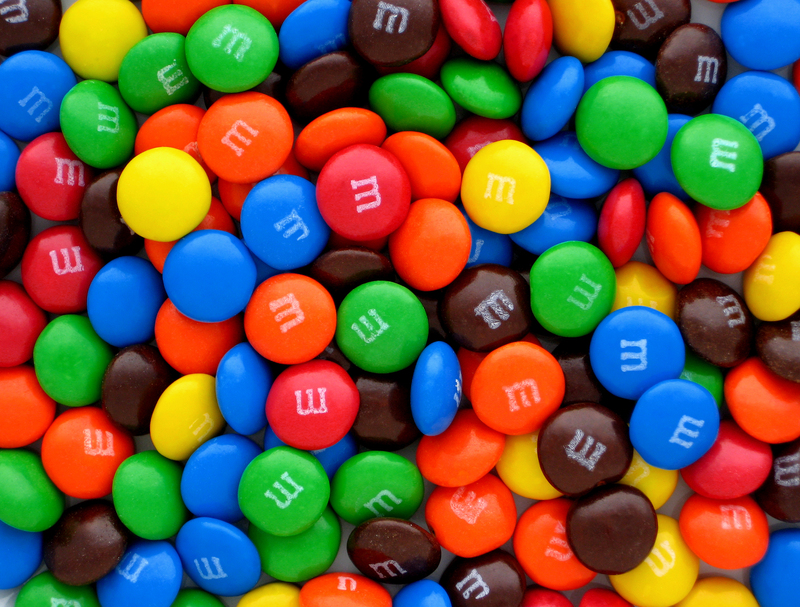 If you have M&Ms and a messy house, host an M&M Cleanup! The M&M Cleanup is my husband’s invention, I must give him all the credit on this one. He started it when our kids were little as a way to entice them to clean up quickly with a little chocolate for motivation. Because it’s chocolate related, it still works even when they’re big. In fact, if you offered me an M&M right now (I prefer Peanut M&Ms,) I might just clean it all up myself. First and most importantly: You don’t need to have M&Ms to do this. You could use Skittles, fruit snacks, my personal fave-chocolate chips- or whatever you think is extra special, would motivate your child best and you’re comfortable rewarding them with. In fact, mini M&Ms work just as well as full size. Other than Halloween and maybe Easter, our kids don’t get M&Ms on a regular basis, so if we have them on hand, they work well because they don’t get them often. Conveniently, Santa always leaves them in the stockings and the Easter Bunny usually leaves them in the baskets, so we often get restocked around the holidays. Second: We only save the M&M Cleanup for big messes, and only periodically do we use it. Otherwise, it’d lose its motivating factor. If you do it all the time, it’s not special. If our downstairs playroom is a huge, overwhelming mess after a multi-kid play date, for example, rather than yell and demand over and over that they clean up, and them whine that it’s too much or they don’t want to, or my favorite, “That’s not mine, I didn’t put that there,” we just announce an M&M Cleanup and they literally run to the mess and start cleaning up. How it works: You can do it a variety of ways. Sometimes it’s one M&M or chocolate chip for each “thing” they pick up and put away, or for each trip they take from the living room to the bedroom for example, to put something away. Or, you could do an M&M per handful so that they’re not picking up a tiny scrap of paper and getting an M&M for each one. Really, the details and logistics are up to you. And, once that’s determined, how many rewards they get is up to them and how hard they work. If everyone works equally as hard (and in our house that is NOT always the case,) you can give a final little handful to all when the job is done just to make sure it’s fair all around and that no one who worked just as hard, is neglected for being a little bit slower, or whatever the case may be. Although you can’t use this all the time and nothing is 100% foolproof when it comes to working with kids, The M&M Cleanup has worked wonders for us. It leaves us all smiling at the end and feeling rewarded for our hard work, and everyone needs that every once in a while! ← Extra Extra! Exciting news to share! Love this idea to motivate kids/rest of family! I’ve been using it for years to reward myself when I complete a dreaded job. I usually treat myself to dark chocolate (always on hand) after the chore is done.